Prague, Karlovy Vary, Cesky Krumlov, Bratislava, Poprad, Brno, and more! Travel through the lands of old Renaissance. Discover both beautiful old history and young and vibrant gay scene. Czech Republic & Slovakia located in the middle of Europe and their turbulent past has left a legacy of hundreds of castles and chateaux – everywhere you look there seems to be a many-turreted fortress perched above a town, or a romantic summer palace lazing peacefully amid manicured parkland. Full of history, unique architecture and natural beauty is really hard to find anywhere in the world. Prague – one of Europe’s most beautiful cities, with stunning architecture, a majestic castle and vibrant gay nightlife. Prague has far more gay and gay-friendly clubs than most Eastern European cities, and is quickly becoming a popular travel destination for gay tourists. The Czech Republic is justly famed as a highly liberal and gay-friendly destination and the Prague gay scene, mainly centred around the Vinohrady area near the city centre, is particularly vibrant and accessible. There are around 30 gay bars, discos and saunas in the city as a whole with new establishments opening all the time. Prague has a wide selection of bars and cafes attracting a predominantly gay crowd, from the upmarket Dandy to more regular smaller bars such as Saints and Q Cafe which have a strong tourist and local following respectively. The permanent gay club scene in Prague is dominated by the two Vinohrady clubs Termix and Club Maxx and the Old-town located Friends Club, all of which have regular parties. It is important however not to miss the occasional gay nights in other clubs, such as OMG which normally takes places in Mecca. 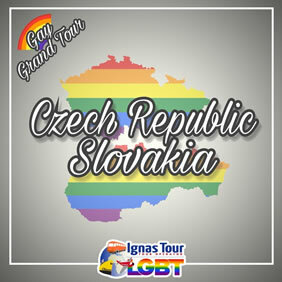 • Buffet Breakfast and start your Prague tour with our Gay/Lesbian Guide with a view of the main highlights. • Begin your tour from the Old Town Square with the worldwide known the Astronomical Clock (entrance included), one of the greatest treasures of the city with a fascinating mechanical performance which in the Middle Ages was considered one of the wonders of the world, also known for the legend about clockmaster Hanus. • Then observe the elegant Gothic Church of Our Lady in front of Tyn, erected by the Roman Emperor Charles the IV, and the pink Rococo Kinsky Palace once hosting a highschool frequented by Franz Kafka. • Continue to the unique building 'At the Black Madonna' where Wolfgang Amadeus Mozart performed the world premier of his opera 'Don Giovanni'. • Continue to the Municipal House, a beautiful Art Nouveau building and a national cultural landmark decorated by Jan Preisler, Max Svabinsky, and Alfons Mucha. • Finish your tour at Wenceslas Square in the centre of the New Town, which inspired world architects in the beginning of modernism. Here take a look to the famous statue of two soldiers kissing each other before the end of your tour. • Dinner on your own and overnight at your hotel in Prague. • Buffet Breakfast and departure by train/bus to Karlovy Vary. • Enjoy a special walking tour of the city with our LGBT Friendly Tour Guide. • Learn about how the world-famous spa town was founded by Charles IV, King of Bohemia and Holy Roman Emperor, in 1358. • Hear about how the local mineral springs have healed many celebrated people, such as the German poet Goethe and the Russian Tsar, Peter the Great. • While walking along the colonnade, take the have a chance to sample the hot springs. • Free time in afternoon before coming back to Prague. • Buffet Breakfast and departure by train/bus to Ceský Krumlov. • Enjoy a special LGBT Friendly walking tour in this quaint city is situated in Southern Bohemia and is a UNESCO World Heritage Site. • Situated on the Vltava River, the town is dominated by the 13th century Castle, which has both Renaissance and Baroque elements and also offers a splendid view of the town below. • There are many cafés and restaurants to stop and relax in while visiting this picture perfect Bohemian town. • Free time in afternoon. • Dinner on your own and overnight stay at your hotel in Cesky Krumlov. • Buffet Breakfast and departure by Car or Minibus to Bratislava. 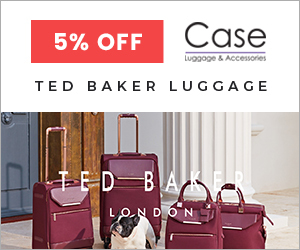 • Lunch on your own and accommodation at your hotel. 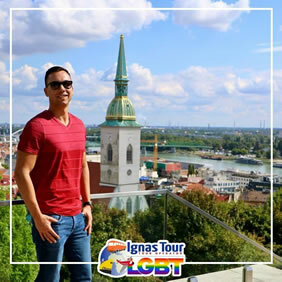 • In the afternoon, discover the splendid Bratislava together with our LGBT Friendly Tour Guide. • Start your tour from the Old Town of Bratislava. • Afterwards enter the historical quarter through St Michael's Gate, the only remaining Medieval access and observe the Old Town Hall. This was the former seat of the city self-government and it's the seat of the Bratislava City Museum, the oldest museum in Slovakia. • After climbing up the narrow stairs leading to its 45-metre-high tower you will be rewarded with a beautiful panoramic view of the Old Town. • Take a look to St Martin's Cathedral, a Gothic church which has been the site of the coronation of all the Hungarian monarchs since 1563 and for almost 300 years. • Then continue to Grassalkovich Palace, a Rococo summer palace from the 18th century used to be known for its rich social life and a famous composer Joseph Haydn also performed here. Since 1996 it serves as the seat of the President of the Slovak Republic. • Relax and enjoy a walking tour through its precious gardens. • Dinner on your own and overnight at your hotel in Bratislava. • Buffet Breakfast and departure by train to Poprad and then Car or Minibus to Starý Smokovec. • In the afternoon, take Starý Smkovoec funicular, a new funicular from Starý Smokovec to Hrebienok which facilitates transport for tourists since December 2007 when its operation was launched and replaced an older lift. Approximately five to ten minutes for you to lift exports to Hrebienok altitude over 1200 m above sea level. • Free time to enjoy the landscapes and trekking. • Back to Poprad by Car or Minibus. • Dinner on your own and overnight at your hotel in Poprad. • Buffet Breakfast and departure by private Car or Minibus to Brno. • Lunch on your own during the itinerary and accommodation at your hotel. • Free time in the late afternoon to explore Brno. • Dinner on your own and overnight at your hotel in Brno. • Buffet Breakfast and departure by train to Prague. • Afterwards discover more about Prague, the Czech Republic, with its history and architecture, customs, gay life and much more. 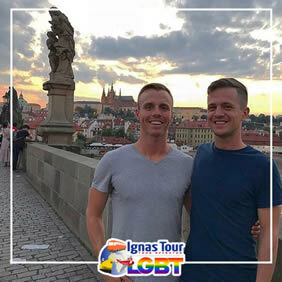 • After meeting your Gay/Lesbian Guide, cross the famous 14th century Charles Bridge with its many statues and mysteries to the Lesser Quarter below Prague Castle, which houses numerous Renaissance and Classicist palaces. • Then visit the churches of St Nicholas and Our Lady Victorious head up to Prague Castle, Pražský hrad. Founded in the 9th century, the castle became the seat of Czech rulers and later presidents. • The panoramic view of Prague Castle is one of the most spectacular in the world. Enter the largest castle in the world, strolling aroung its courtyards, palaces, museums and garden all day long and whilst doing so, admiring the overwhelming beauty of a place which has been the seat of Czech kings, emperors and presidents for a thousand years. Discover the secret of this symbol of the Czech Republic and a place which makes Prague one of the most beautiful cities in the world. After the visit end of the tour. • Don’t miss in the evening to explore Prague’s best gay bars and clubs. Dinner on your own and overnight. • Breakfast in the hotel and transfer to the Prague airport. Ibis Praha Old Town is situated in the heart of Prague, 100 m from the old town. Na Porici, the main shopping street, is just a few steps away. All rooms of the Ibis Praha Old Town provide air conditioning, a shower and a toilet. Some also have flat-screen TV sets. The whole hotel hotel is accessible to wheel chairs. The hotel also offers rooms with accessibly designed bathrooms on special request. Guests of the non-smoking Ibis Praha can additionally book a rich breakfast buffet upon arrival. Outside the restaurant's opening hours, refreshments and snacks are available in the hotel’s Rendezvous Bar. The Old Town Square, Wenceslas Square and the Jewish quarter are 500 m from the Ibis Praha Old Town. Charles Bridge is 1 km and Prague Castle is 1.5 km away. The next public transportation hub is Namesti Republiky, which is 100 m from the hotel. The State Opera can be reached within 800 m.
Hotel U Malého Vítka is set in Gothic buildings just 30 m from Ceský Krumlov’s main square. It offers free WiFi in the lobby and rooms with satellite LCD TV. Rooms are decorated with natural wood furniture and parquet floors. Each comes with a private bathroom. A daily buffet breakfast is provided. The Ceský Krumlov Bus Station is 1 km from the hotel. The Svachova Lhotka Golf Club is 5 km away. Parking spots are available in an area 5-10 minutes away. This is our guests' favourite part of Ceský Krumlov, according to independent reviews. Hotel Satel is situated in the centre of Poprad town, only a 10-minute drive from the High Tatras. It offers hotel in the standard and premium rooms. Hotel Satel guests can enjoy free parking and free WiFi available in all areas. The town centre and the Forum Shopping Centre are located only a 5-minute walk away and the hotel is set less than 10 minutes' walk from the famous water park AquaCity, MAX shopping centre with bowling, and the Poprad Arena sports hall. The hockey and football stadium is a 15-minute walk from Hotel Satel, and the railway and the bus station are a 5-minute walk away. Easily accessible from the D1 motorway, A-Austerlitz Hotel in Brno offers elegant rooms and apartments near the Svratka River. The hotel features free Wi-Fi, a sauna and massage facilities. Each hotel unit comes with a minibar, seating area and satellite TV. The private bathroom comes with a shower, a bathrobe and a hairdryer. The 24-hour front desk can provide fax/photocopying and car rental services. Dry cleaning, ironing and laundry facilities are available as well. The à-la-carte restaurant serves Czech and international cuisine. A lounge area with access to the terrace is available for relaxation. A selection of newspapers is available at the hotel. Špilberk Castle is 800 m away and the UNESCO-protected architectural landmark Villa Tugendhat is 4 km from the hotel. Brno Exhibition Centre BVV is 1.3 km away. The Main Train Station is 1.5 km from Austerlitz Hotel. The centre of Brno is 2 km away and Brno Airport is 10 km away.